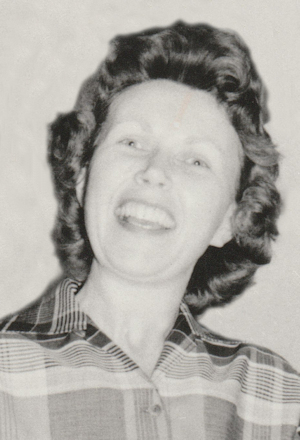 Obituary – McMorris, Emma Josephine (Loeffelholz) « Perry High School Alumni Association, Inc.
﻿- 16 years old, is the daughter of Mr. and Mrs. H. J. Loeffelholz and was born June 22, 1923 in Norman. Before attending high school in the Perry school, she went to St. Joseph’s Academy here. She was in the junior play, senior play, operetta, “Old Kentucky Garden” and the operetta “Pickles” presented last year. 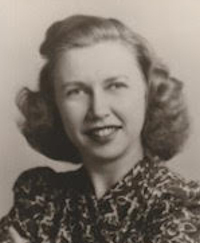 She is a member of the National Honor Society, has been a member of the student council for four years, secretary of the student council in 1939-40; reporter for the glee club for two years and has received honors for glee club, operettas and student council. Her hobbies are tennis and scrapbooks. She plans to attend Oklahoma A. and M. college in Stillwater until she is old enough to enter nurses’ training at St. Anthony’s hospital in Oklahoma City. ﻿Funeral mass was at 9 a.m. Wednesday in Sacred Heart Catholic church, Boulder, Colo., for Mrs. Emma Josephine McMorris, 35, daughter of Mr. and Mrs. Henry J. Loeffelholz, 608 Jackson street, who died at 9:30 a.m. Monday in Boulder Community hospital. Rosary was said at 7 p.m. Tuesday in the Howe Mortuary chapel, Boulder. Born June 22, 1923, in Perry, Mrs. McMorris was married here Dec. 26, 1945, to Sharidon A. McMorris, who survives. She was a 1940 graduate of Perry high school and a 1943 graduate of the school of nursing at St. Anthony’s hospital, Oklahoma City. Mrs. McMorris served as a Navy ensign in the naval hospital at San Diego, Calif., from November 1944 to January 1946. The couple met while McMorris was a patient in the hospital. She was a member of the Sacred Heart Catholic church, the Altar society and the Christian Family movement of the church. She also was a member of Beta Sigma Phi sorority. Survivors other than her parents and husband include six children, David, 12; Patrick, 3; Susan, 10; Beth. 8; Mary, 5; and Ann, 4, all of the home in Boulder; and a brother, John Reginald Loeffelholz, Oklahoma City.